Call us to meet with a designer! We offer a full design service, focussing on quality and simplicity to create your dream, handcrafted kitchen! Book Your Free Kitchen Consultation! 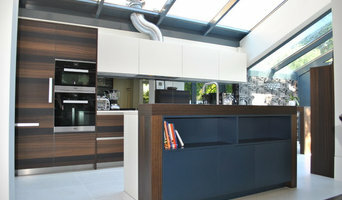 Bespoke kitchens, bathrooms & interior design. 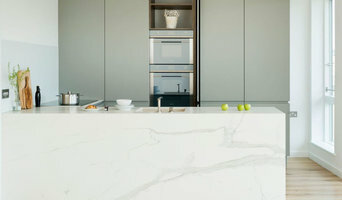 KBB Kitchen Designer of the Year 2018 one of 4 Finalists (Project Cost £30-50K) Best of Houzz Service 2019, 2018, 2017, 2016 & 2015 Best of Houzz Design 2018 Highly Commended, Best Small Bespoke Kitchen. 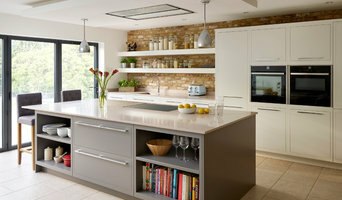 2013 Marion John Awards From traditional Shaker to minimal modern handleless kitchens, any style is possible. 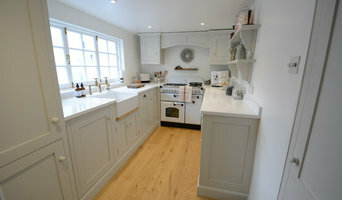 Laura specialises in designing bespoke kitchens. She listens carefully to clients' needs and wishes and is happy to work flexibly throughout a project. She designs and commissions bespoke furniture and worktops and supplies appliances without the overheads of running a showroom. Typically the client's builder installs the kitchen. Working with clients to provide imaginative yet practical solutions, she also draws on her experience as an artist and theatre designer. Individual attention is provided throughout a project. Laura ensures that the final result is exactly as the clients would like, but with a large injection of creative flair and know-how along the way! Laura Gompertz Interiors is based in London and was founded in 2008. 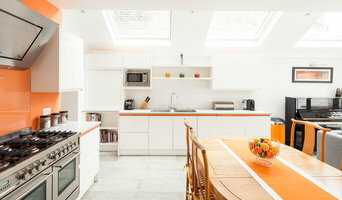 Let's Discuss your Kitchen Project Now!